Ajay Devgn starring Shivaay's trailer is quite promising! Shivaay is a Himalayan mountaineer who is an innocent everyman and yet is capable of TRANSFORMING into a mean DESTROYER when he needs to PROTECT his family. Official trailer of the movie was released today on Ajay Devgn's verified YouTube account. Shivaay is a Himalayan mountaineer who is an innocent everyman and yet is capable of TRANSFORMING into a mean DESTROYER when he needs to PROTECT his family. Official trailer of the movie was released today on Ajay Devgn's verified YouTube account. Fans are loving it, movie is different, dialogues look great, trailer is quite promising. However VFX is still not up to the mark, but being a Bollywood movie it's not that bad. Shivaay represents Lord Shiva, as we say in Om Namo Sivaay. It'll be interesting to see this fusion on big screen. You may also like to read: Online Gurukul movie may feature best Bollywood VFX till now. Movie will be released in Theatres on 28th October, 2016. 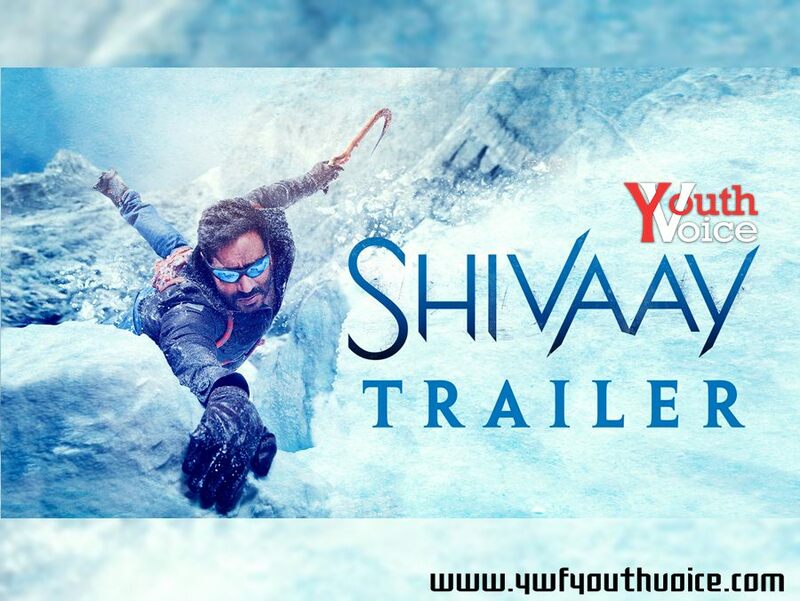 Youth Voice: Ajay Devgn starring Shivaay's trailer is quite promising!